J'ai crée ce festival , parce que j'aime le cinéma. Je dis « JE » mais nous sommes une association. Le Festival de Masuku qui a pour objectif « la culture pour tous ». Premièrement parce que nous aimons le cinéma ; ensuite le Gabon a aujourd’hui 50 ans de cinéma mais un seul festival, les Escales Documentaire à Libreville ; ces documentaires ne sont vus qu’à Libreville, la capitale. Le Gabon comme d'autres pays d’Afrique, n’a plus de salle de cinéma. C'est à nous de créer des espaces pour partager notre art. Faire des films c’est bien mais quel intérêt, si nos amis, nos parents, nos voisins, ne les découvre pas ? Mon court-métrage DIALEMI est vu dans différents festivals à travers le monde et au Gabon juste une fois à l’Institut Français. Pourquoi la Nature et l'Environnement? Parce que c'est ce qui définit le mieux le Gabon et que si le pays est mis en avant du fait de sa richesse culturelle, son cadre de vie d'un point de vue naturel et environnemental est très peu mis en avant. Et parce que dans le cinéma, la place de la fiction, de l'histoire, des coutumes et de la culture est souvent prépondérante à celle de la nature et donc un tel festival c'est un peu un retour aux sources...aux sources de l'Ogoouée. 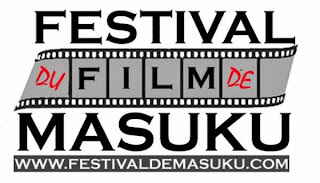 I created this festival because I love cinema. I say I "I" but we are an association. 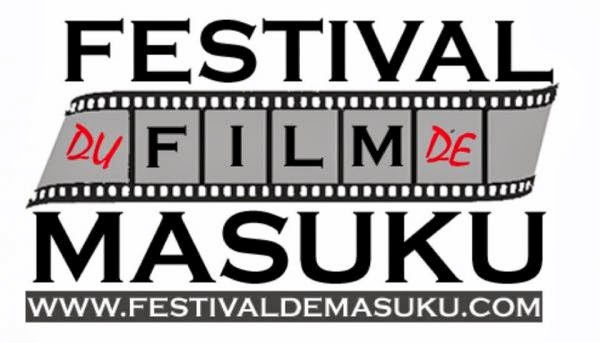 The Masuku Festival has as objective to provide "culture for everyone". First of all because we love cinema, and also Gabon has a 50-year history of cinema but only one festival, the Escales Documentaire of Libreville. However, the documentary films are only seen in the capital, in Libreville. Gabon, as other countries in Africa, no longer has cinema houses. It is up to us to create the venues to share our art. To make films is good, but what is the interest of it, if our friends, relatives, neighbours do not see them? My short film Dialemi was seen at different festivals around the world and in Gabon only once at the French Institute. Why the theme Nature and Environment? Because it is what best defines Gabon, and if the country's cultural wealth is brought to the forefront, its quality of life in terms of nature and the environment is less visible. Because in cinema, the role of fiction, history, costumes, and culture is often more dominant than that of nature and therefore, a festival such as this is somewhat of a return to the source...the source of the Ogoouee River. Boukary Sawadogo, professor at Marlboro College in the state of Vermont in the United States, discusses his new book Les cinémas francophones ouest-africains, published by the Paris-based l’Harmattan. Interview and translation from French by Beti Ellerson. 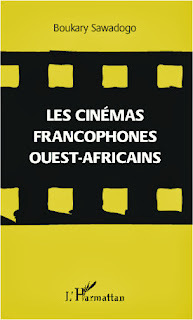 Boukary, congratulations on the publication of your book, Les cinemas francophones ouest-africains, which in fact is adapted from your doctoral thesis entitled "Altérité dérangeante et innovante dans les cinémas francophones ouest- africains de 1990 à 2005". Why this subject for research? Through this work I wanted to examine the changes that have taken place in African cinema since the 1990s as are evident in the aesthetic and thematic treatment as well as modes of production and distribution. To deal with these mutations through an analysis of the representation of characters at the "margin" provides not only a better understanding of the "centre", or the social norms that constitute dominant discourse, but also to see in what ways the treatment of marginal figures translates a certain evolution in post-1990 cinemas, characterised by the passage from collective to individual, the individual's confrontation with the preeminence of her/his community, and the female heroism of everyday life. According to the dictionary, Le Robert, alterity is a philosophical concept signifying "the characteristic of that which is other". Through the use of cinema your study highlights three figures of alterity, the mad person, the homosexual, the woman. Talk about your approach as well as your choice of films and the characters. My approach was primarily deconstructionist and feminist, based on the notion of taking voice. The analysis of each marginal character was structured around three films. For the homosexual, the selected films were Dakan by Mohamed Camara, Woubi chéri by Philip Brooks and Laurent Bocahut, and Karmen Gei by Joseph Ramaka Gai. Dakan, whose focus is on two high school students, Sori and Manga, is the first Francophone African homosexual film. 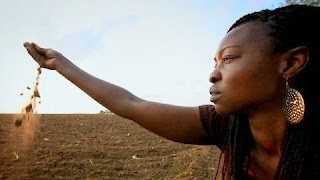 By its documentary nature, Woubi cheri gives voice to homosexuals of Abidjan, thus offering a different perspective. As Dakan, Karmen Gei is also a pioneering film in its treatment of a lesbian relationship between Karmen and Angélique. In terms of madness, I chose Sia, le rêve du python by Dani Kouyaté, Tasuma by Kollo Sanou and Une fenêtre ouverte by Khady Sylla. 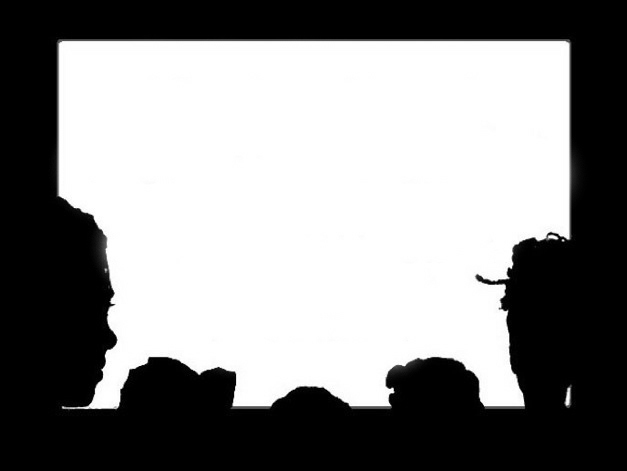 The characters of Kerfa and Soba in the first two films contrast well with that of Aminta Ngom in the latter film. A contrast that brings out the difference in the treatment and the perception of the madness of men and of women. In terms of the woman figure, through the image of the woman as leader, I demonstrated that the representation of the African woman as disempowered and victim does not reflect the historical reality of the role of the woman. This explains my choice of the films Moolaadé by Sembène Ousmane, Taafe Fanga by Adama Drabo and Une femme pas comme les autres by Abdoulaye Dao. The film Sia, le rêve du python by Dani Kouyaté treats the madness of the female and the male character who befriend and help each other. But there is a difference in the representation of the two characters: Sia, designated for sacrifice in order to save the village, and Kerfa, who lives as a hermit, away from society. Briefly describe the conclusions of your comparative study of female and male cinemas as it relates to madness. Vagabondism and confinement respectively, characterise the treatment of male and female madness. The madman has freedom of movement and speech where as the woman encounters restrictions. If Kerfa enjoys a freedom of speech, Sia is chased away from the village because she spoke out in order to denounce certain lies. 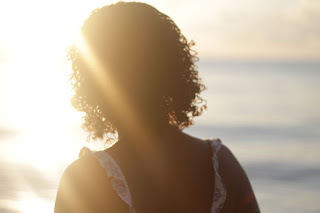 Similarly, Aminta Ngom (Une fenêtre ouverte, Khady Sylla), was prohibited from leaving the family household alone. Thus, there is evidence of a different treatment regarding madness as it relates to gender, as female madness is perceived as very disturbing. In the two films, homosexuality is perceived either as a mental illness for which a cure should be found, or as a menace to society. In Dakan, Manga is sent away to the village to undergo a purification ritual because he would otherwise suffer from madness. In Karmen Geï all the scenes that deal with lesbian relationships take place in the Coumba Castel prison on Gorée island near Dakar. It is as if Dakar had to be spared of this menace that homosexuality constitutes. The character of Karmen represents what I consider as an innovative alterity, which is a different representation of the woman beyond the role of victim; such as the woman with a fighting spirit as the character of Collé Ardo in Moolaadé or of Kiné in Faat Kiné. Male and female homosexuality is regarded differently in society because male homosexuality is perceived as being very aggressive whereas female homosexuality is less threatening. A situation which could explain a relative tolerance regarding lesbianism. But certain researchers argue that this relative tolerance is rather the result of the lack of evidence of lesbian practices in Africa as is the case with men through certain initiation rites. You bring up the notion of a female sensibility in cinema. I too posed this question to African women in cinema--filmmakers, producers, and actresses. I was surprised by the results as they were so diverse. What were the conclusions of your research? The aim was to define and analyse the characteristics of a female specificity in artistic expression, and in cinema in particular. 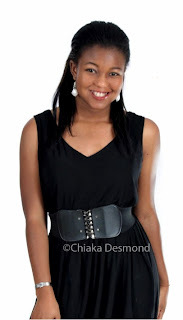 A woman's perspective does exist in the cinemas of francophone West Africa. This may be observed in the social themes that are dealt with (maternity, the female body, defending their rights, etc. ), the preference of women filmmakers for the documentary, and the story constructed around mature female figures. And still others, the female character is already developed at the start of the film, in contrast to their evolution in the works of male directors. In your book you talk about characteristics of African feminism and also of a feminist cinema. Based on your research how does feminism manifest itself in a cinematographic context? African cinemas increasingly encounter the ideas of third generation feminists who put into question the universality of the female condition as they take into account specificities such as socio-economic status or the cultural context. 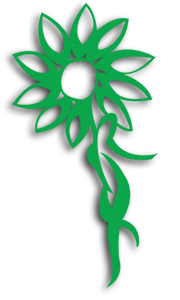 This may entail the theme of the female body (the right to control one's own body), as it relates to excision for example. There is also patriarchy which is perceived as an impediment to the development of women. But in contrast to cinema in the west where the female character has access to a fuller existence by leaving her family environment or by taking an adventuresome path, the family and motherhood do not constitute obstacles to the liberation of African women. What has been the reaction to your research and studies? For homosexuals, it has been the recognition of their rights to be different, with some evolution towards acceptance and tolerance of their sexual orientation. But this right to be different has not translated into the right to child adoption or inheritance at the death of a partner which is the case in western contexts. There is definitely a difference between the representation of madness in men and in women, such as vagabondism and confinement respectively. It is a difference that for the woman constitutes an obstacle to taking voice. In terms of cinema, the treatment of madness and homosexuality (disturbing alterity) clearly shows an evolution which puts the individual at the centre and not the concerns of the community, where this has has always been the case. The contrary could be true, since behind the individual one may find the community there. In terms of innovative alterity, it reveals a representation of the woman not only as an agent of change but also playing the main protagonist of the film. The African woman is no longer restricted to a secondary role or as extra. Do you envision a English version of the book in the near future? It is not something that I plan to do immediately, but it depends on the reception of the work. However, presently I am working on my second work which also focuses on African cinemas. Interview by Beti Ellerson, July 2013.